Extant are Britain’s leading professional performing arts company of visually impaired people. They took on the challenge to perform Eugene Ionesco’s absurdist piece The Chairs. It is staged as if it were underwater, which is evident as the audience walk in to water sound effects. The set, designed by Andrea Carr, expresses an interesting depiction of a corroding research station, with rising water levels being a threat from the outside. In the research station are many windows and doors which the actors use frequently throughout the show to transition on and off stage, crouching through doorways and climbing through window frames. 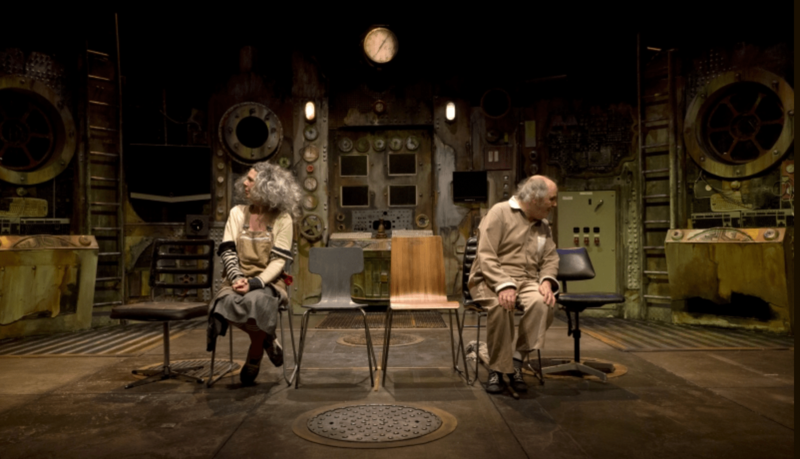 The play is about a couple that are trapped underwater in the research centre, it is centred around an old man and an old woman who are waiting for their invisible guests to arrive. When they arrive, one by one, they react differently to each guest, and sit them down on a chair. It is a farce as they frantically run around after these invisible guests who have arrived to hear the old man speak. He has promised to deliver an important message about how to save the world, and they are all awaiting the propitious Orator who is arriving to relay his discovery. The old man played by Tim Gebbles is a humorous character that Gebbles captures excellently with his bemused characterisation. 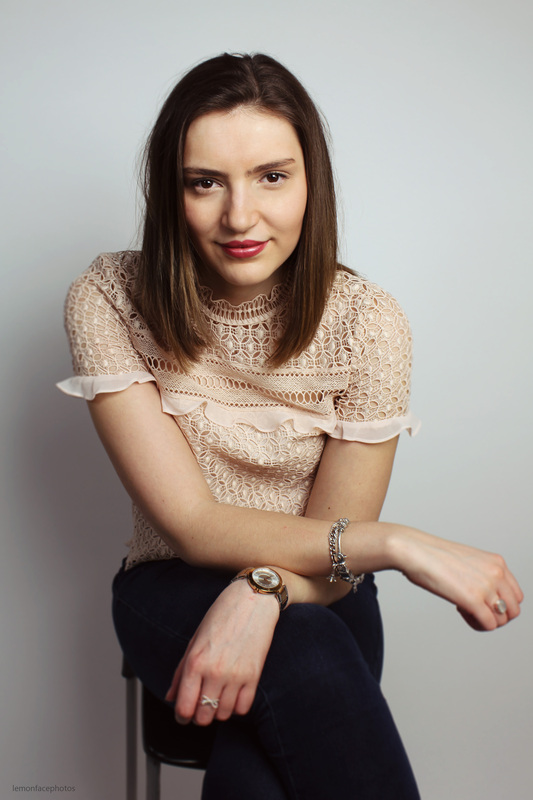 He is dominated by his wife Semiramis, played by Heather Gilmore, a strong actor that intensifies the humour with her impeccable comedy timing. Her energy is sharp, and this never wavers throughout the duration of the 90 minute performance. The play uses audio description effectively, instead of having it as an accessory, it is intertwined into the performance, making it a huge part of the story they are telling. Pre-recorded voices are used to describe the character’s actions, but they are recorded in a way that reflects the character’s thoughts. The use of sound cleverly portrays the voices as a constant stream of their thoughts, which is also used in the play to create humour, as what they are really thinking about each other is said aloud. It is an ambitious play to choose, however director Maria Oshodi has directed it to work effectively in terms of the integration of audio description. In the program she wrote: “I believe that this not only acts as an extension of the visual geography created on stage, but also supports Ionesco’s desire to make the non-visible appear through language.” This play was chosen because the audience have to imagine the characters that are invited round for the speech, putting every audience member in the same position in terms of not being able to see what is on stage. The audio description mirrors the character’s dialogue as they welcome in the invisible guests, we cannot see the guests but Ionesco’s dialogue depicts their reaction to each person. Extant have magnificently crafted a stunning performance that is innovative and humorous. It highlights the importance of accessible theatre and it is a production that will attract audiences of all abilities. The Chairs is on at The Lowry until the 16th of April and tickets can be found here. Extant are currently touring the production and details for future venues can be found here.